For the past few weeks, we've tried almost every formula possible trying to find a balance between having a productive work day and spending time with the boys. We have to admit it's been a challenge to swing both, but it's getting easier as the boys are learning to play with each other more and more. Nice blog. I'm glad I found you. Miles is one cool dude! just think how much fun it will be to look back in 20 or 30 years and look at all of these awesome drawings! 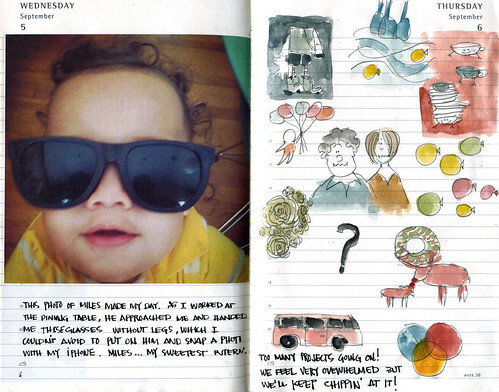 you do an amazing job of sketch-documenting your family life!